It’s the end of the year and I’ve notably failed to complete many of my self-assigned writing goals, while simultaneously completing a number of my self-assigned life goals. I’d say that’s a pretty good balance, at the end of it. Blogging, clearly, fell to the wayside in favor of participating and creating, which is just fine, too. Instead of writing about stuff, I ran a 5k, wrote a book for my son, completed a Kansas-centric Sketchbook, started painting, attended too many performances to fully fathom, lectures, art museums, Omaha, played in a dozen parks, explored my world, and took thousands of pictures. I completely missed the Proust centennial, being solely wrapped up in work and my own birth-anniversary celebrations, though I did buy myself his volume of poetry, which I’ve yet to crack open. I’m selfish like that. Sorry, Marcel. I haven’t completed a poem in months, but that’s okay, too, since “poems are never completed, just abandoned.” I’ve sure as heck abandoned a few, and thus have a few to come back to next year. So in a final attempt to just quit guilting myself because I haven’t written a proper post, here are some of this year’s images, with some lines to accompany. 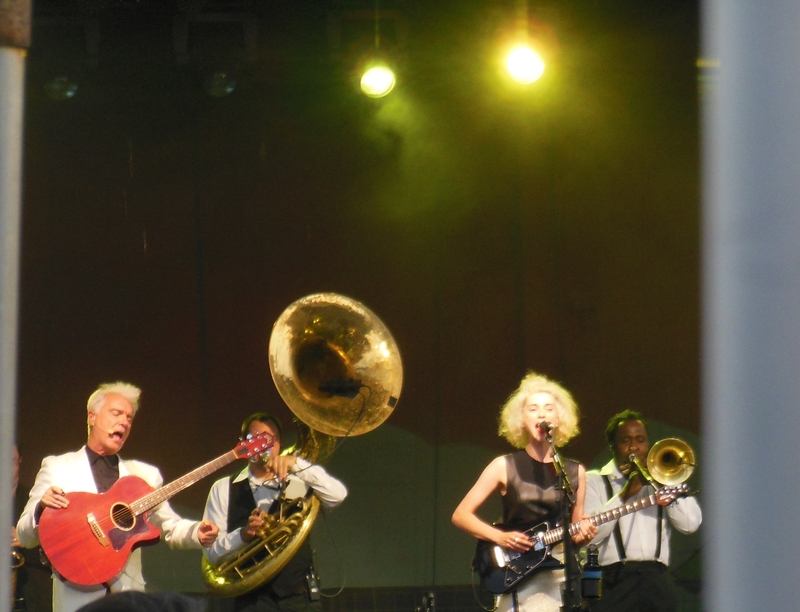 In July, the legendary David Byrne performed with St. Vincent (Annie Cherry) and brass ensemble at Crossroads KC. A bright slice of moon peaked over the fence, catching its own glimpse of a deliberately beautiful color story and demanding brass choreography. 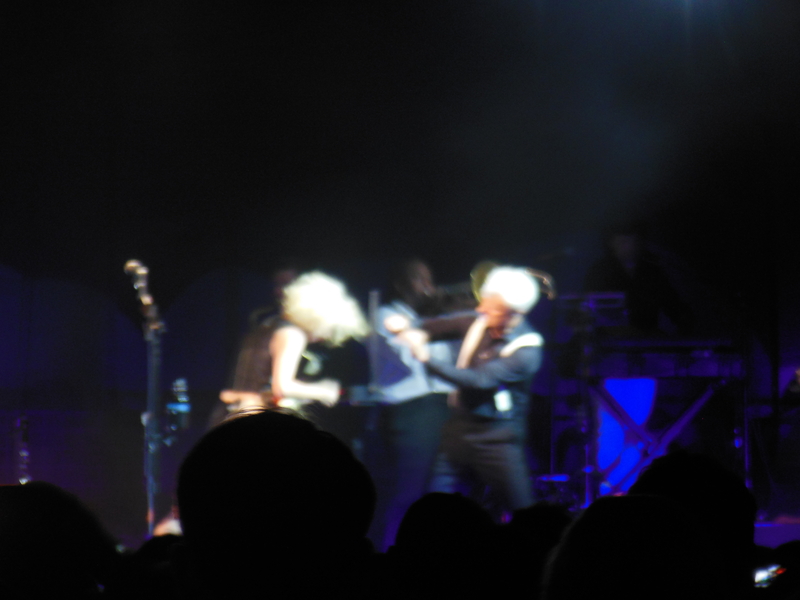 Byrne’s dancing is an unchanging celebration of “it’s not what you got, it’s what you do with it.” And I can’t get the image of their Theremin battle of awkward kicks and gestures out of my sockets. I’ve lost the transcription for this, but rest assured the night’s visions are withstanding. You can enjoy a little bit of it here, too. 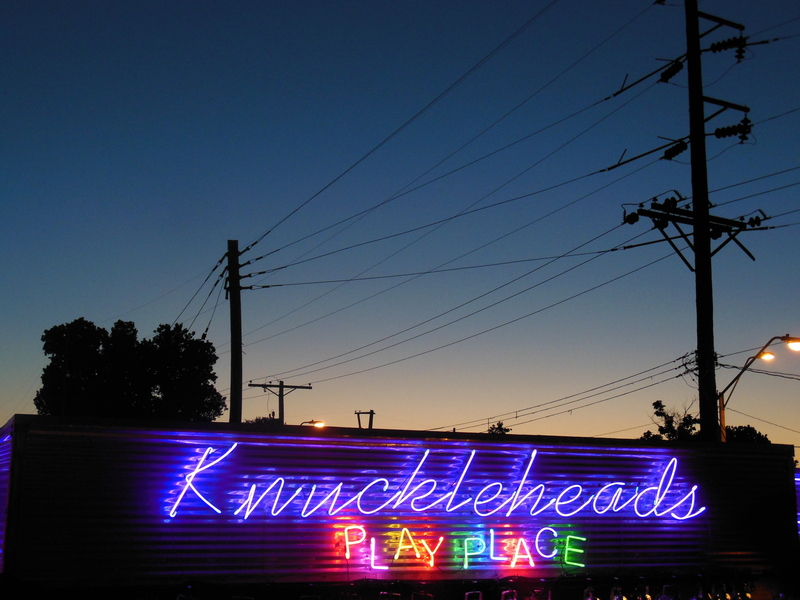 On a weirdly cool evening a few weeks later, we wandered down to Knuckleheads to catch The Grisly Hand, a local band I’d wanted to see for about a year. We walk in and on our left is an Elvis impersonator, on our right a bar. To the bar. Located next to busy tracks, most acts are interrupted by echoing hoots from passing trains. From our balcony seats we could see over the neon sign to the city’s silhouette, the sky a weird shade of verdigris, reflected in the warehouse windows, while we listened to the grit-and-honey voice of singer Lauren Krum. And what’s become an annual (hopefully!) 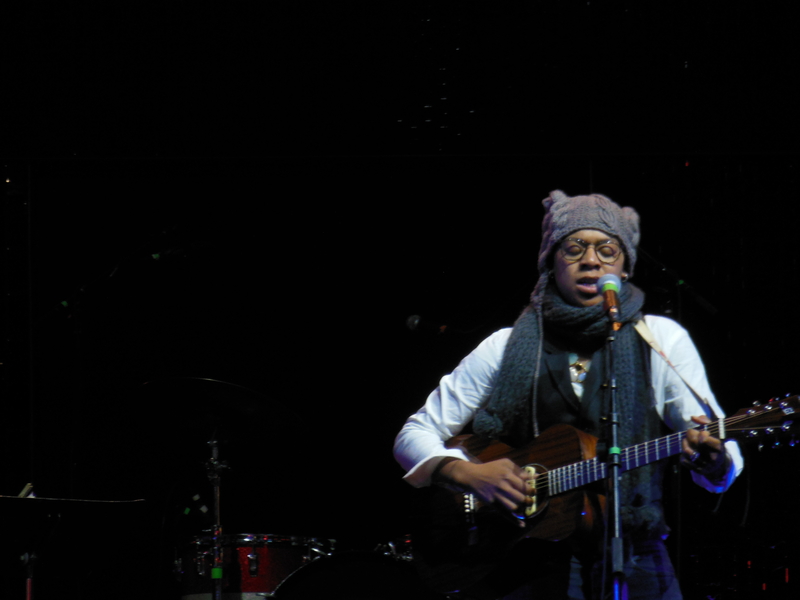 experience: seeing Krystle Warren. She flew in from Paris for a week in October, picking up a few of her Brooklyn pals, for a KC Live performance of her latest album, Love Songs, and a big, expectant crowd of extended family and friends. She’d gathered a consortium of musicians to recreate tunes off the album, with strings, brass and rhythm, Krystle on vocals and guitar. Brad Cox directed and arranged, having made the arrangements for the album, too. And that folks, wraps up the year of performance. 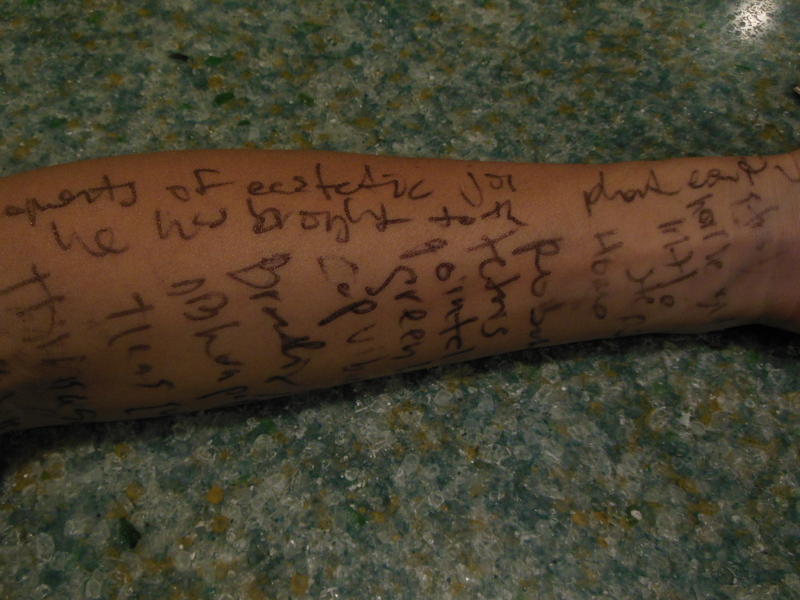 Art writing will have to be a 2014 endeavor.